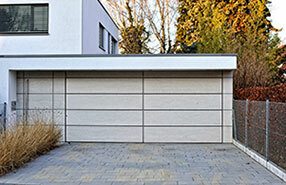 No matter what type of garage door you may have, they all eventually wear out over the years. This can be due to worn components, old technology or aged mechanisms. 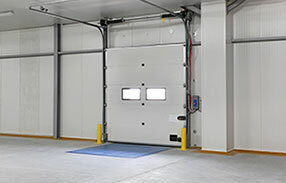 These are all good reasons to replace your overhead door. With that said, there are several routine steps you can take to extend the life of your door. Perhaps your door isn’t running as smoothly as before or has gotten a bit noisy! Well, in this case these tips will definitely help. A noisy garage door can be quite irritating, especially if it is right next to a bedroom. You cannot imagine the wonders lubrication maintenance can make! Try coating the moving parts with spray-type oils such as WD-40. Be sure to avoid spraying too much because it may easily attract dirt which can cause more problems in the long run. For the same reasons, it is recommended to clean garage door parts from grime and old sticky lubricants before you apply the new ones. 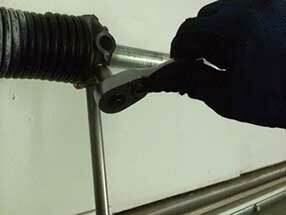 Check all springs to ensure that they aren't rusty and are free from dirt and buildup. Inspecting and cleaning them is ok as long as you don't try to replace them. Extension garage door springs and especially torsion springs are under extreme tension that can result in serious bodily harm. Whatever you do, try to keep your distance from springs. Thoroughly check the garage door track for damage. A simple dent, bend or buckle may cause the door to stick and create a lot of racket. Use a tool to knock it back into place without damaging it. A rubber surface mallet will be the best recommendation. Make sure you don't further damage the track. Obviously, all parts must be checked during proper garage door maintenance. From the opener to rollers, they must all be examined for rust and similar problems. When you simply want to tune up the garage system, also check the hardware. Make sure the tiny screws, bolts, nuts and hooks keep the brackets and hinges secure since the latter ones secure the cables, the springs and all bigger parts.